Presently showcases new work from eighteen emerging contemporary artists in Northern Ireland. The exhibtion ranges from sculpture, painting, drawing, photography and film to installation and multidisciplinary work. Presently is accompanied by a new limited edition publication, with an introductory essay by Ciara Hickey. Introductory text by Ciara Hickey. a broader discussion of culture and society in Northern Ireland. Part of the potency of this type of exhibition is the knowledge that much of its meaning and significance will be deferred until a later stage. It is only at a future date that we are often able to distinguish prevalent themes or styles and can clearly view the influence of the artworks on shaping work that is to come. There is a liminal quality to the word presently that underpins this exhibition, it is both one thing and another, it is specific, evasive and is ultimately expansive. The exhibition itself operates on a simple premise, bringing together a group of artists working at one time in one place. The exhibition becomes more complex when one regards it through the prism of presently, a word that provides an unexpected richness in thinking about art as a product of the ‘present’. It illustrates the limitations of terminology in defining ‘current’ art. Art is produced at a specific time but can never belong to one temporality. The exhibition Presently, at the Millennium Court Arts Centre, represents an opportunity for the artists involved to create and exhibit new work that will be reviewed alongside their peers. It is without doubt that this exhibition and the artists included in it will significantly contribute to how we view Northern Irish art in the present but will also allow a re-evaluation of work made in the past and will anticipate and shape work that is to come. Contemporary art is specifically the art of the present, or at least, that is what it meant in the recent past. In an essay from 2010 Liam Gillick writes about how the term ‘contemporary’ has become so absorbed by and attached to a particular time, (he cites 1973 – 2008) that it no longer accounts for the art that is currently being produced. ‘Contemporary’ still dominates how we refer to art now but its supremacy as an unassailable and non-prescriptive term has been challenged. Gillick argues a case for the term ‘current art’ to describe art that is happening at the present time. Any overarching term that seeks to define and distinguish artworks from each other is necessary in the human endeavour to impose order, develop arguments, catalogue work, and assist in creating the broad narratives of art history. The use of a term as a means of finitely describing an artwork is at the same time completely flawed on the basis that an artwork and its meaning is capable of changing in relation to any given context. Exhibitions frequently provide the forums in which we can witness this push and pull between the desire to identify, label and group artwork together and at the same time provoke new meanings, and re-interpret artwork. In Presently, curator Feargal O’Malley has invited eighteen artists working in Northern Ireland to show recent or new work. The artists work across a wide range of media; drawing, moving image, sculpture, photography, installation, performance and painting. The artists are not part of an established group or ‘scene’ and work in a variety of locations in Northern Ireland. The parameters of the exhibition were set by the curator’s decision to ask artists he had not previously worked with, whose work he found online, and who would exhibit work that was recent or new. This last point represents the only brief set to the artists in preparation for the exhibition and marks this exhibition out as representing specifically art of the ‘now’, or to use Gillick’s term, ‘current art’. Titling the exhibition Presently initially encourages the viewer to negotiate the exhibition principally through terms of time and place. O’Malley is setting out to explicitly show current art from Northern Ireland and make a statement about art made in this place in 2014. However, in the very act of wanting to represent the ‘now’, there is an intrinsic link to both the past and the future. The choice of the word presently suggests something more nuanced and alludes to the complexity and the limitations of terminology in representing the ‘new’. There are several temporalities at stake within the word presently; it denotes a measure of time. By its definition it evades precision and is caught in the inertia of changing temporal states. It means ‘in a little while’, anticipates action, it can also mean ‘immediately’ or indicate ‘now’, the present moment. There are also several temporalities at play in applying the word presently to this exhibition. At the time of writing this essay the exhibition does not exist. The exhibition will form itself from the arrival of each piece of work, thematic and visual parallells will emerge on the installation of the exhibition. The exhibition consists of work made in the recent past; on encountering the exhibition we read each work in the context of our own present. Presently also anticipates something about the future of both the artworks and artists included in the exhibition. In Borges’ essay Kafka and his Precursors he discusses the importance of the present being written about retrospectively. He discusses how writers create their precursor and how work made in the present will modify our conception of the past, as it will modify the future. Perhaps this is what is at stake in an exhibition such as Presently. This is an exhibition that sets out to examine a broad selection of work from a certain time and place with the general idea that it will enable a reading of the present. The exhibition will facilitate a review of Northern Irish artistic practice in 2014 and will undoubtedly contribute to a broader discussion of culture and society in Northern Ireland. Part of the potency of this type of exhibition is the knowledge that much of its meaning and significance will be deferred until a later stage. It is only at a future date that we are often able to distinguish prevalent themes or styles and can clearly view the influence of the artworks on shaping work that is to come. Donald’s work explores the ways in which we organise our experience of reality; how we construct a narrative from a sea of information and perceptions ranging from the physical to the abstract. He uses the idea of personal memory versus canons of accepted history to investigate the instability of knowledge; blending traditional narratives with historical models, the personal with the political and fact with fiction to create alternative histories. Donald is also interested in how we unconsciously select only parts of all that is knowable and then mentally attempt to smooth over the, constantly shifting, gaps especially with regards to history. Collage, painting and drawing are utilised in an attempt to give these ideas and images physical form especially in an age where the visual image is increasingly intangible and ephemeral. 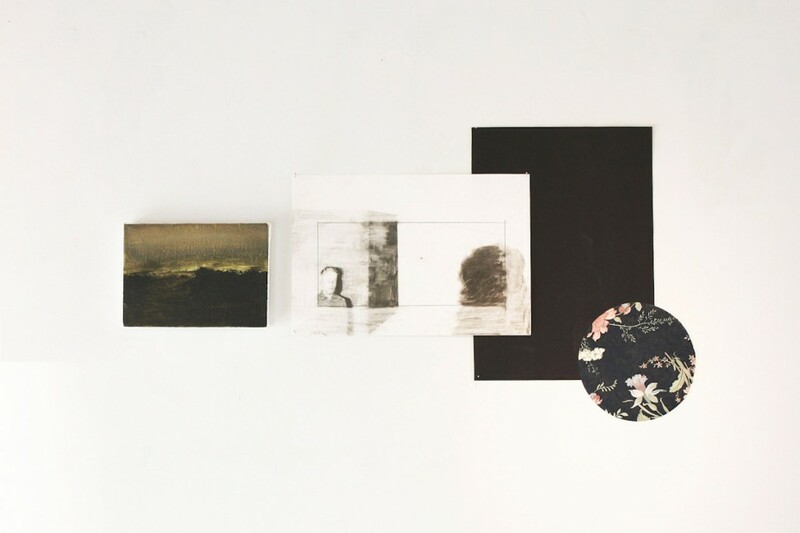 His works are displayed together in installation format, forcing connections between individual pieces and suggesting an overarching narrative.